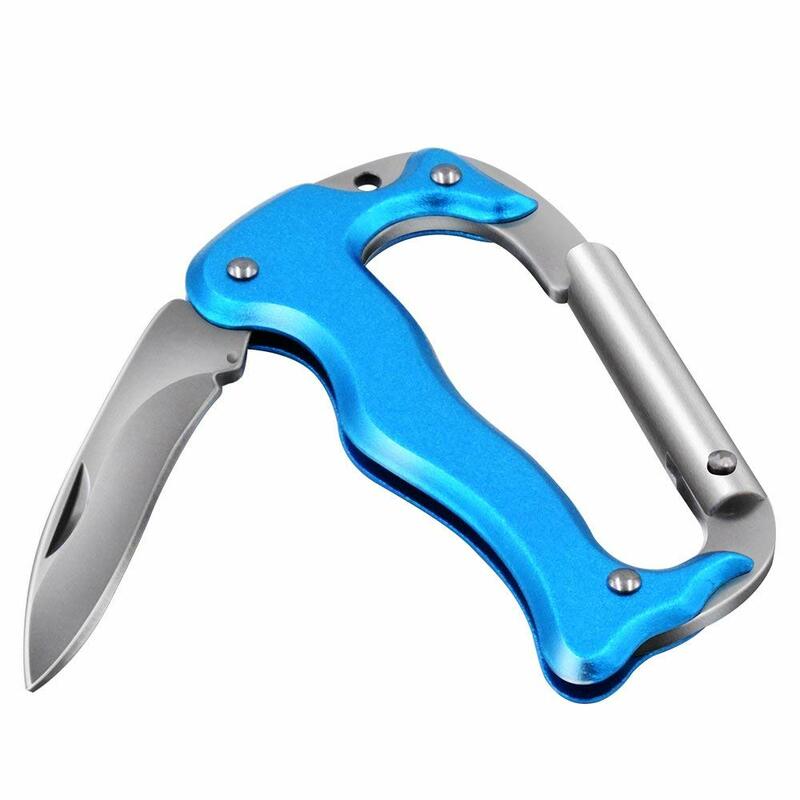 Carabiner-style multi-tool is the perfect merger of utility and convenience, suitable for outdoor climbing. With a stainless steel sharp knife, when you encounter something, cutting off the rope and the branches won’t be a problem. Quick release, allows for effortless fastening/unfastening. The aluminum material makes the unique appearance, waterproof and rustproof. Make you the most dazzling one outdoors! This carabiner-style multi-tool is the perfect merger of utility and convenience. Whether you are hiking, camping or expedition, adventure, this product can provide you with the necessary help. Outdoor high hardness carabiner with quick hook can be equipped with backpack, belt. Applicable to a variety of outdoor activities. Material: Stainless Steel 420 Knife and Aluminum Alloy Handle.